Yoga: Learn hatha yoga asanas and breathing techniques to enhance your well being and deepen your body awareness. This class ends with a final relaxation/meditation. 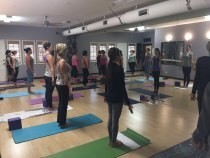 Yoga for a Healthy Back: In this class we will focus on yoga moves along with physical therapy exercises that will bring balance and stability to your spine. 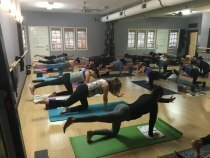 Mat Pilates: A special combination of controlled movements that’s guaranteed to build strength without the excess bulk, creating a sleek, toned body with slender thighs and a flat abdomen. Pilates ring, thera-band and small ball may be incorporated! 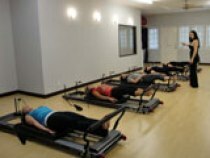 Reformer Pilates: Pilates exercises performed on the Balanced Body Allegro reformer. It will transform the way your body looks, feels and performs. Props such as the Tower of Power, jump board, weights, balls or foam rollers may be used! 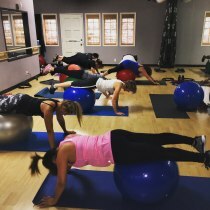 Floor, Core & More: You will be challenged through different stations or sets of exercises in this class. We will focus on contouring the body to help improve strength, bone density, power, flexibility and maximum calorie burn! We will be using equipment/props throughout the class. Please wear workout shoes. Booty Barre: Fire up your legs and glutes in this class! 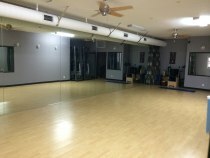 Combining dance movements and conditioning using the barre. Your core will also be challenged. Thank you for your interest in our chiropractic office, where we promote exercise for your health!